As Data Scientist at Project Botticelli Ltd, Rafal focuses on making advanced analytics and artiﬁcial intelligence easy and useful for his clients. He can help you ﬁnd valuable, meaningful patterns and statistically valid correlations using data mining and machine learning in data sets both big and small. Rafal is also known for his work in business intelligence, data protection, enterprise architecture, and solution delivery. While majority of his clients come from consumer and corporate ﬁnance, entertainment, healthcare, IT, retail, and the public sectors, Rafal has worked in almost all industries. He has been a popular speaker at major IT conferences since 1998, and he had the honour of sharing keynote platforms with Bill Gates and Neil Armstrong. A natural educator, he explains complex concepts in simple terms in his enjoyably energetic style. Rafal was born in Poland. He left it in 1990 to study computing in United Kingdom, where he earned BEng in Computing Science, fol­lowed by MSc in Foundations of Advanced Information Technology, at Imperial College, University of London. His stud­ies were sponsored by Oxford Computer Group Ltd, where he later worked as a developer, trainer, and a consultant. Since 2000 he has worked for Project Botticelli Ltd.
Outside of IT, Rafal spends a quarter of every year ﬁnding abstractions in natural landscapes, expressing them through traditional, black-and-white, large-format ﬁlm photography, making silver-gelatin prints by hand—see rafal.net. 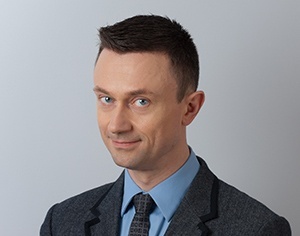 You can also follow Rafal on Twitter, or connect with him on LinkedIn.